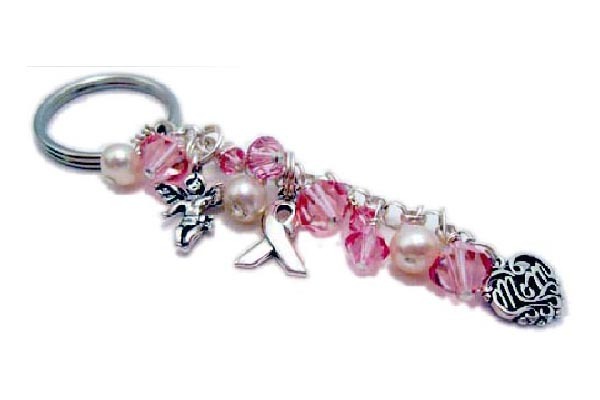 Shown with pink crystals and Swarovski pearls. 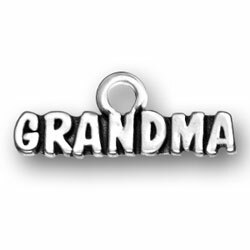 It comes with a Angel with Wings, Ribbon and MOM, Grandma, Big Sis, Lil Sis or Father charm. 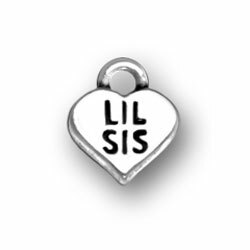 You may add additional charms during the ordering process. 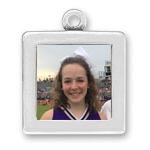 This Survivor Key Chain is shown with lots of Swarovski crystals and pearls and 3 charms. 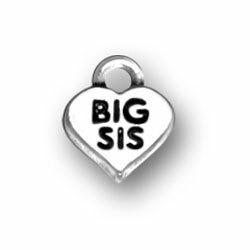 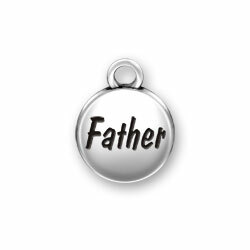 It is shown with a Filigree MOM charm but you also have the option of BIG SIS, LIL SIS, FATHER or GRANDMA charms. 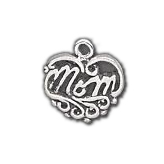 It comes with the Angel charm and Ribbon charm but you can switch out those charms for any charms you would like.